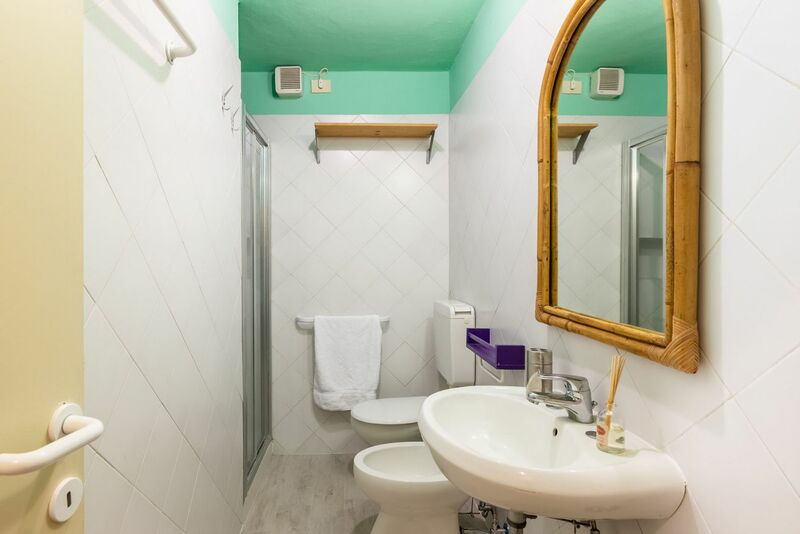 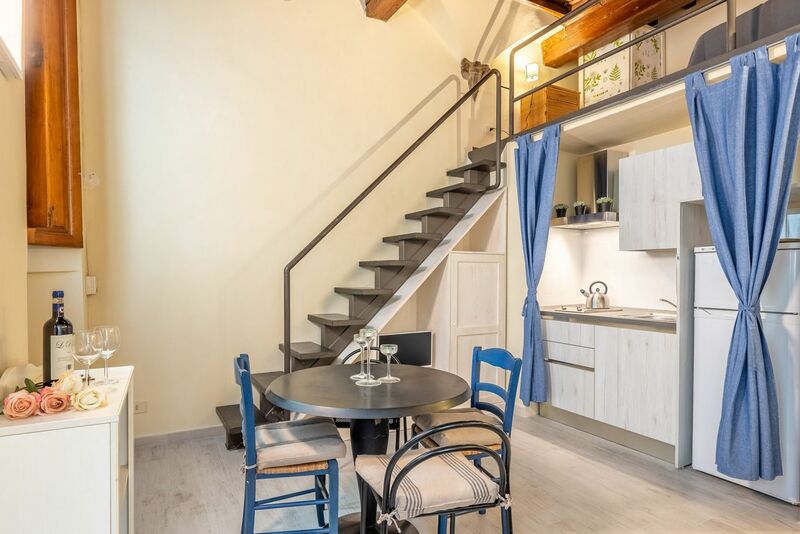 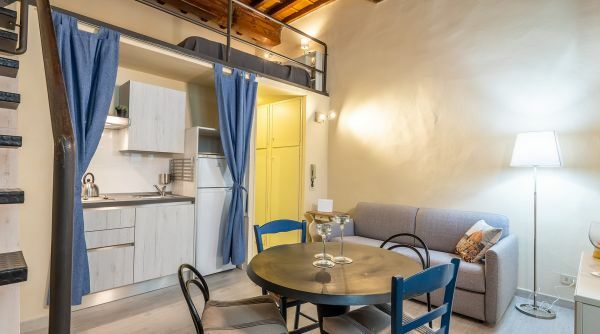 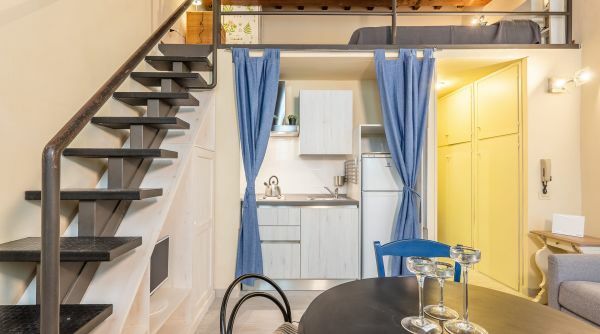 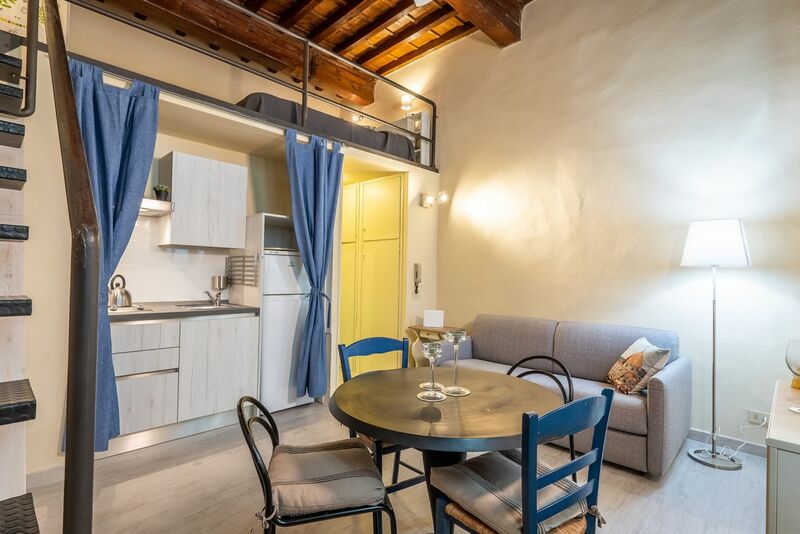 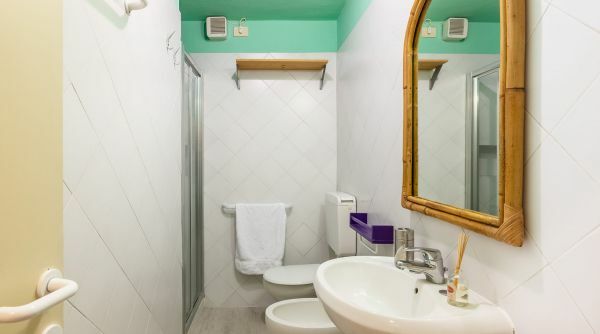 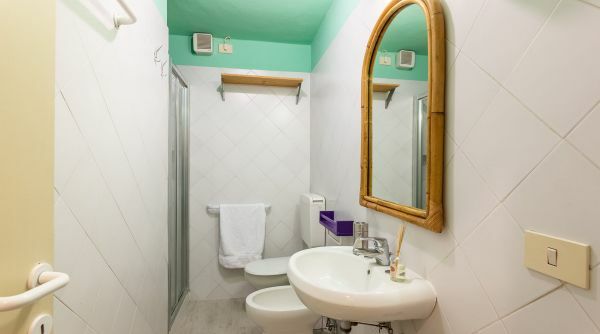 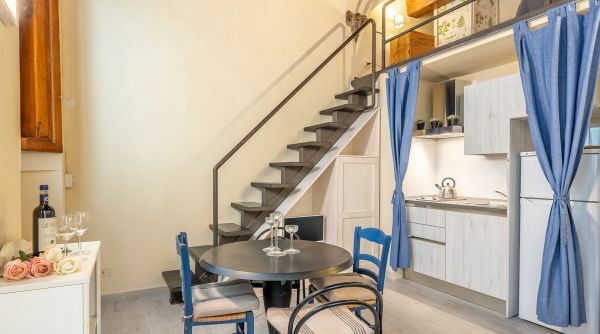 Tiny Pitti is a delightful studio apartment to rent near Piazza Pitti in Florence. 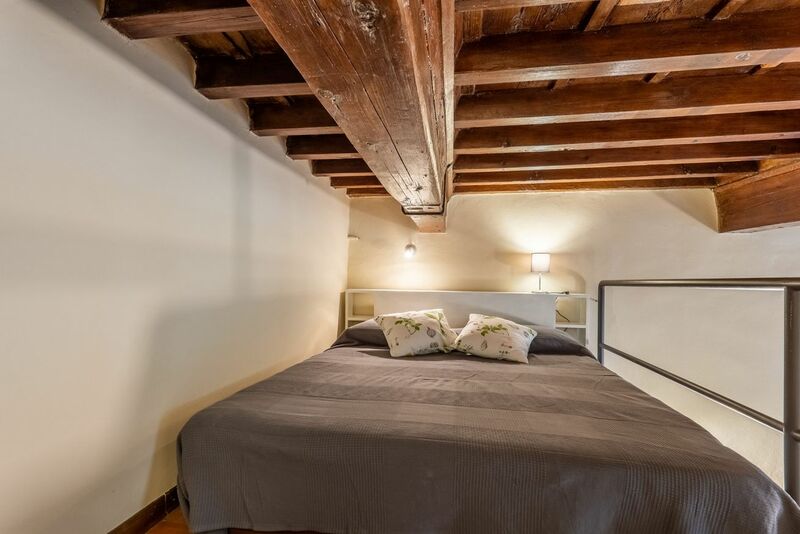 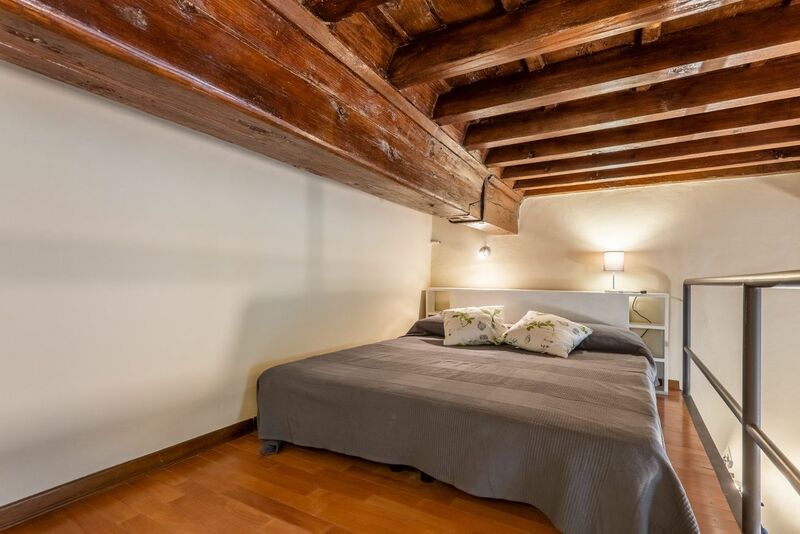 This flat is on the first floor of a historical building in via dei Velluti into the heart of the district of Santo Spirito. 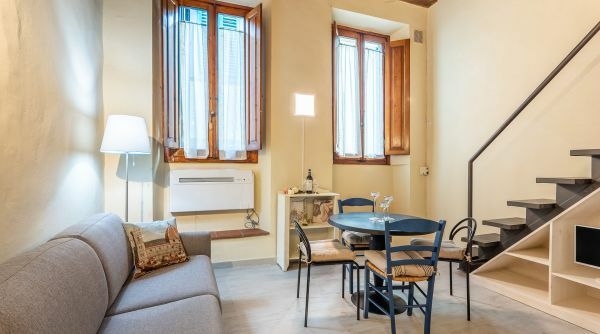 Even if it's compact, the apartment has everything you need to guarantee an unforgettable stay in Florence. 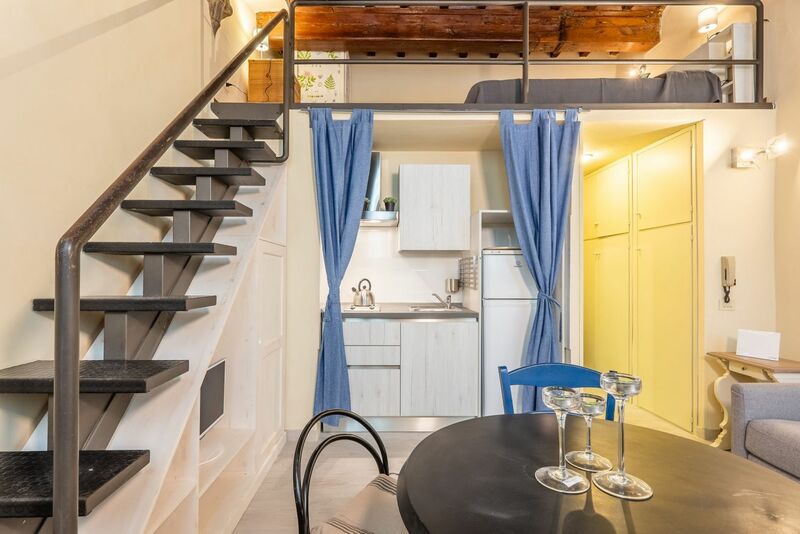 The interior is articulated on two levels, on the floor we find the kitchen-living room (here there are a TV and a double sofa bed) and a bath with shower. 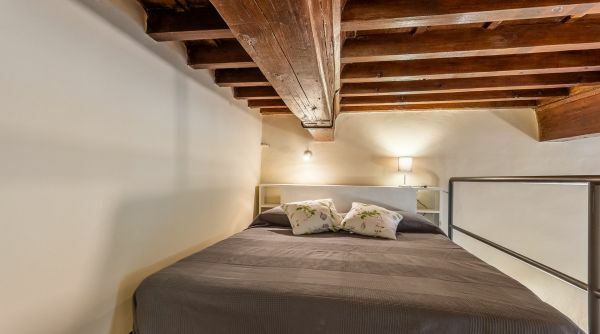 Going up the stairs you reach the mezzanine where we find a double bed. 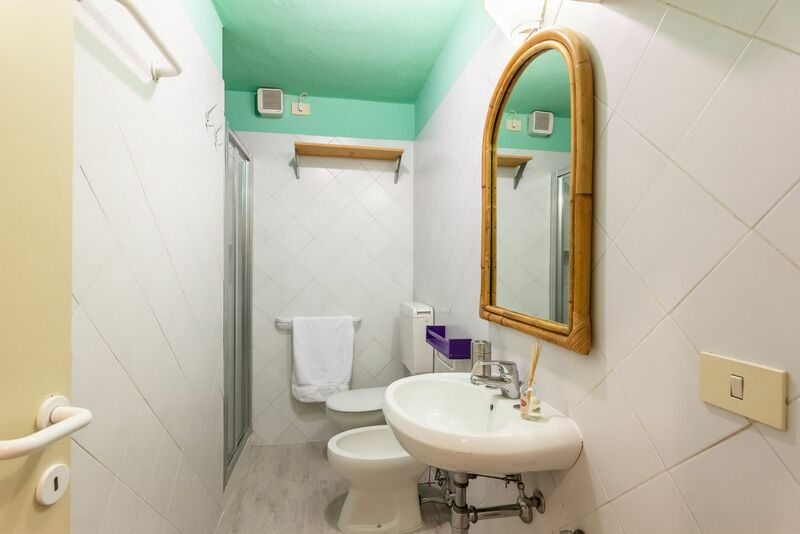 Recently refurbished and carefully finished, the house is equipped with many comforts including air conditioning and Wi-Fi. 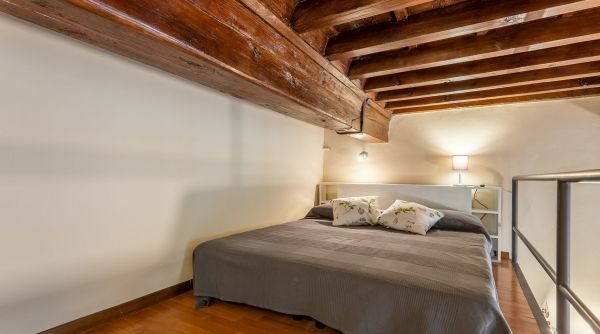 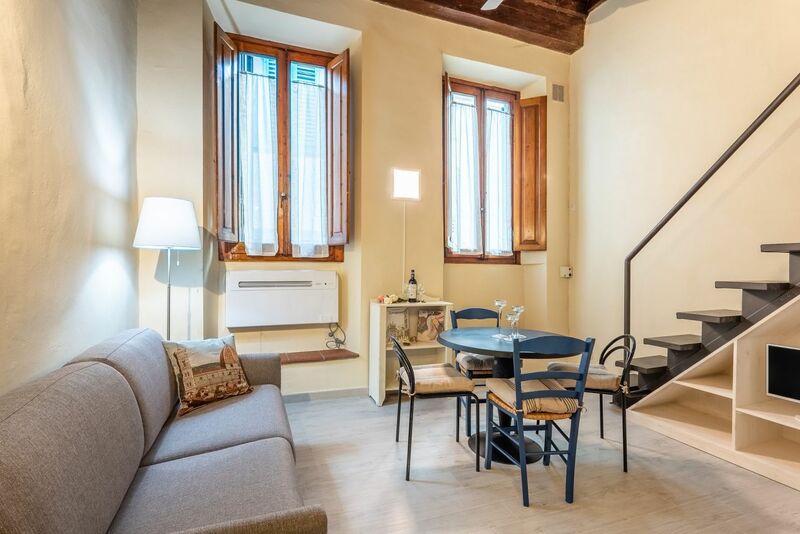 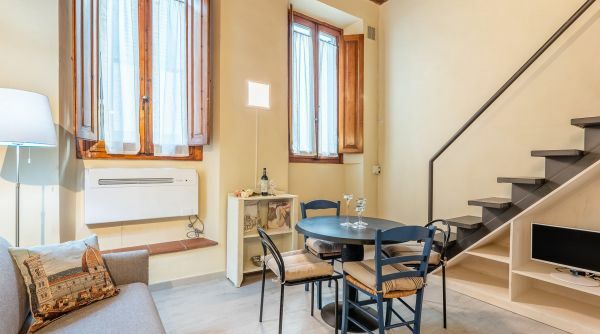 The studio apartment Tiny Pitti is inside the neighborhood of Santo Spirito, a short distance to many important monuments as the Basilica di Santo Spirito, Palazzo Vecchio and the Giardino di Boboli. 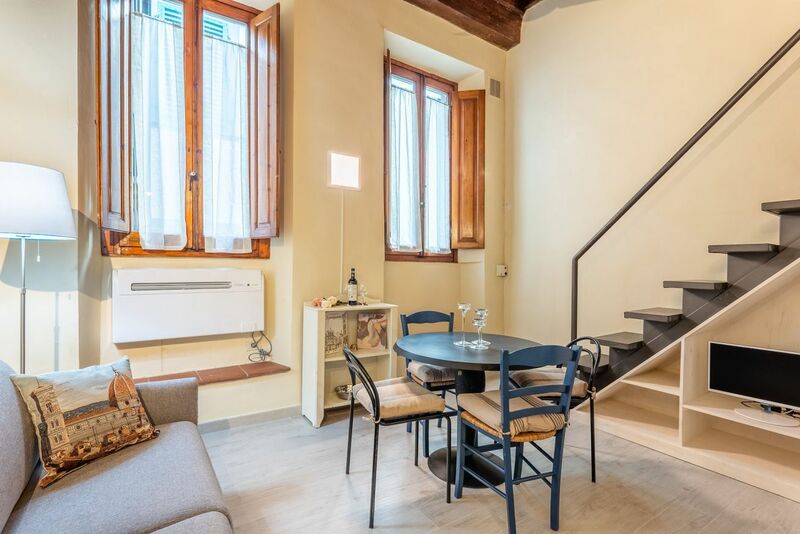 Once less known than the other districts of the city centre, today Santo Spirito is undergoing a big revaluation also certified by the Lonely Planet Guide that described it as "the coolest neighborhood in the world".